A new study conducted at Karlstad University in Sweden reiterates that PVC flooring materials can cause some major health concerns for babies. Phthalates, substances suspected of causing asthma, allergies and other chronic diseases in children are readily found in PVC flooring materials. The new study, just like past studies, has shown that when young children come into contact with PVC flooring they’re exposed to phthalates via skin-contact. Urine samples, taken from randomly selected two to six month old children showed that levels of certain phthalates (MBzP, a BBzP metabolite) were higher in the urine of babies that had PVC materials on their bedroom floor than levels of phthalates in babies without exposure to PVC flooring. Phthalates are just one problem of PVC flooring. As past research shows, lead and organotin stabilizers (endocrine disruptors), not to mention phthalate plasticizers recently banned in children’s products, are also found in flooring containing PVC. Young children are especially at risk for exposure because they spend so much time on the floor and they crawl around then stick their hands in their mouths. In good news for breastfeeding families, levels of a phthalate metabolite related to DEHP were lower in two-month-old children if they were exclusively breastfed. 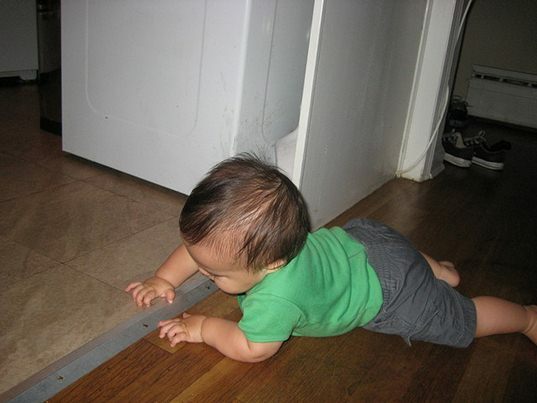 If you’d like to limit your child’s exposure to harmful phthalates, you should know that linoleum, cork, bamboo and hardwood are safer flooring options than PVC vinyl because they all test free of lead, cadmium, mercury and other hazardous metals. 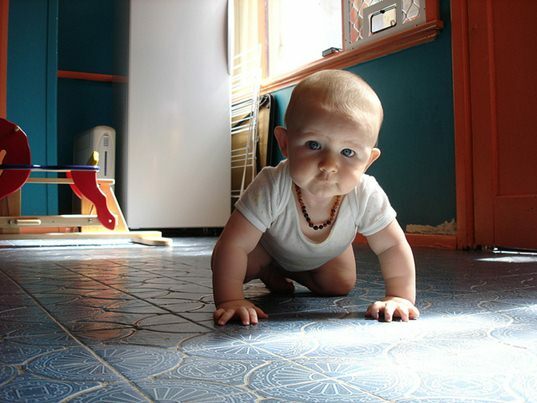 HealthyStuff.org agrees, noting that non-vinyl flooring products are half as likely as vinyl flooring to contain hazardous chemical additives. A new study conducted at Karlstad University in Sweden reiterates that PVC flooring materials can cause some major health concerns for babies. Phthalates, substances suspected of causing asthma, allergies and other chronic diseases in children are readily found in PVC flooring materials. The new study, just like past studies, has shown that when young children come into contact with PVC flooring they're exposed to phthalates via skin-contact. Urine samples, taken from randomly selected two to six month old children showed that levels of certain phthalates (MBzP, a BBzP metabolite) were higher in the urine of babies that had PVC materials on their bedroom floor than levels of phthalates in babies without exposure to PVC flooring.